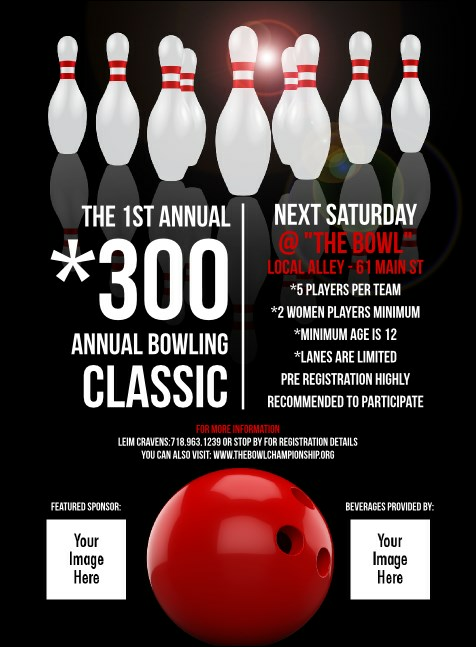 Put your pre-event promotions in the strike zone when you print Bowling Classic Invitations and send them out in advance. Every Invitation features room to upload two of your own images on a bold black background that shows ten pins lined up in front of a bright red bowling ball. We’ve got event promotions to spare at TicketPrinting.com.